is an art exhibition and event series focused on Bay Area art and countercultural activities influenced by the ideas and techniques of the Situationist International movement. Situationist Guy Debord, in his critique Society of the Spectacle, was far ahead of his time, in a way predicting the ‘Trump Age’, and certainly fully understanding the negative consequences of consumerist culture, which was just coming into its own in 1967, when Debord wrote the book. At ProArts, many of the works in the show critique authoritarian and capitalist politics. 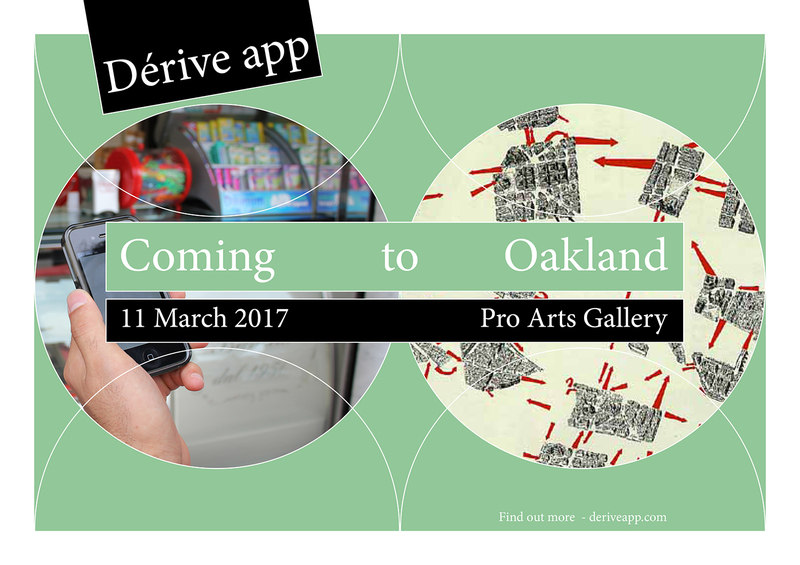 On March 11, Dérive app is hosting a short workshop, remotely (thanks, Trump), where participants will kick off a six week process where, collaboratively, they will create a location-specific deck for Oakland, which then will be one of the officially supported locations within Dérive app. 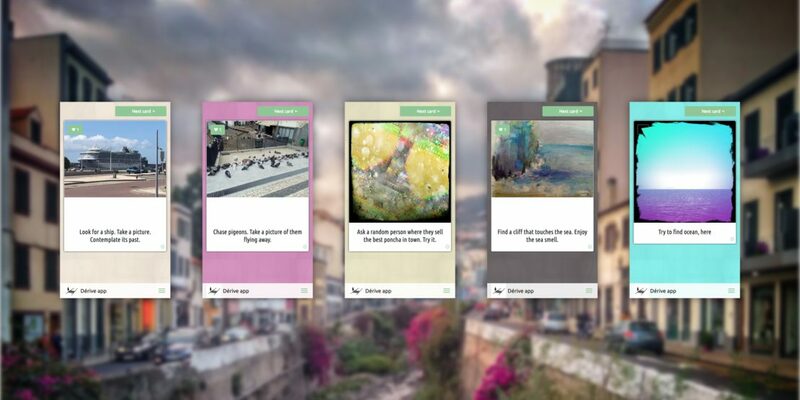 This will be done using the upcoming version 2.0 of Dérive app for both Android and iOS. If you’re in California, visit Pro Arts. Otherwise, sign up to participate remotely.